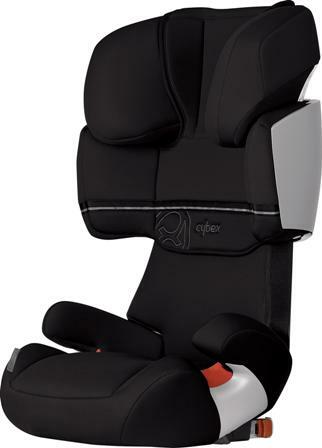 The Solution X-fix is the only High Back Booster Seat to receive all four Top Awards in the most renowned European consumer tests! The Solution X-fix offers truly innovative safety features like: Linear Side Impact Protection, a reclining head-rest, and rigid LATCH. With the revolutionary L.S.P. System (Linear.Side-impact.Protection) the momentum of a side impact collision is systematically reduced. Due to this new configuration, a series of reactions are triggered in which the head and shoulder protectors of the child seat absorb the momentum of the body at an early stage during the impact and lock the sensitive head of the child into the safety zone of the seat. Solution X-fix is suitable for children who are at least 3 years of age, 33 to 100 lbs, and between 38” – 60” tall. The seat is available in a variety of colors such as Berry, Grenadine, Stone, Cinnamon, Navy and Raven. us what you are getting mom for Mothers’ Day this year and why. below. Last date for entries is May 14, 2010.